UPDATE (28 March): According to a museum spokeswoman, Ai Weiwei's new sculptural work Fountain of Pearls is due to be installed at a later date. 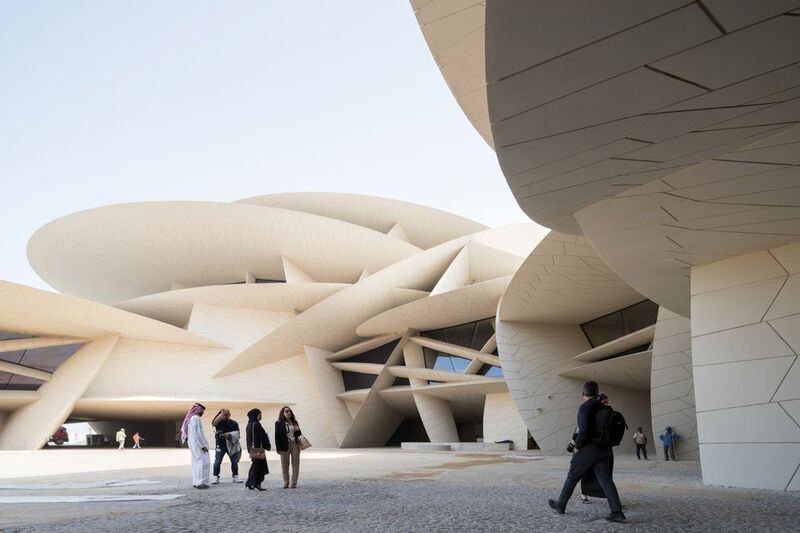 The new National Museum of Qatar “won’t be what people expect from a history museum”, promises Karen Exell, the British-born academic and Qatar Museums consultant who has worked on the project for the past four years. The long-awaited Doha museum will open its doors on 28 March. Compared to the slow growth of most Western museum collections, its contents have undergone intense development in less than a decade. Designed by the French architect Jean Nouvel for an undisclosed sum, the National Museum will also be one of the world’s largest, spanning around 40,000 sq. m—roughly equivalent to the Vatican Museums. The displays draw on consultations with Qatari residents and international experts, and include natural history specimens and archaeological artefacts gathered from new fieldwork. But material objects only “form one part of a multi-layered narrative that also uses image, film, sound, tactile elements and smells”, Exell says. The sequence of 11 immersive galleries ranges from the formation of the Qatar peninsula millions of years ago to the country’s very recent history. Ai Weiwei is among a number of contemporary artists and filmmakers who have been enlisted to create new works bringing Qatar’s history to life. His sculptural installation Fountain of Pearls reflects the dramatic decline of the pearl-diving industry from 1913 to 1939. In January 1940, oil was discovered in Dukhan on the west coast, transforming the tiny Gulf state into one of the richest economies in the world. A series of short films will be projected on the curved walls of the new building, including Abderrahmane Sissako’s black-and-white re-enactment of traditional Bedouin nomadic life in the desert and Jananne Al-Ani’s meditative view of the country’s archaeological sites and artefacts. Museum officials said at a press briefing last December that the “most precious exhibit” is the restored Palace of Sheikh Abdullah, the site of the first National Museum, which opened in 1975 after Qatar gained independence and closed in 2005. The palace is enfolded within Nouvel’s extraordinary sprawling structure, and will be the culmination of the exhibition route. 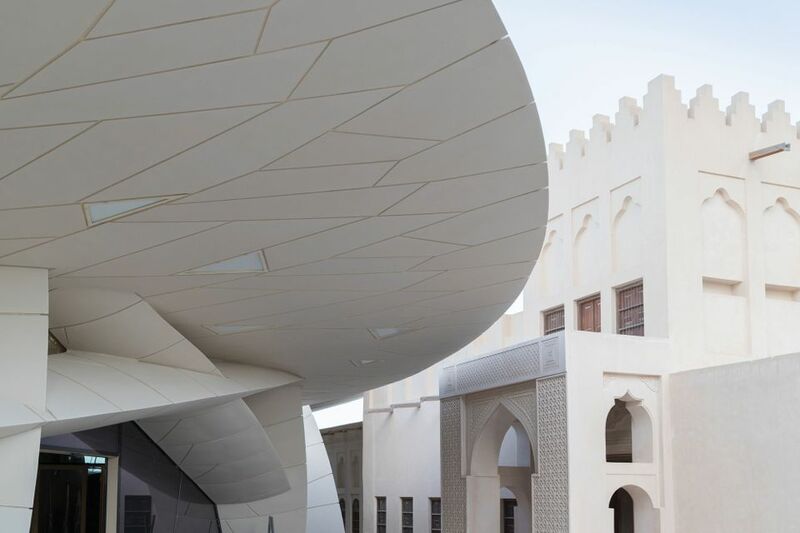 The museum ultimately aims to “reflect the identity of the people and their values and traditions”, says Exell, who is also conducting an ambitious government-backed audience research project for University College London’s branch in Qatar. The study will continue after the museum opens, with the results eventually due for publication. Further details on the progress of other major museums planned for Doha are sketchy. 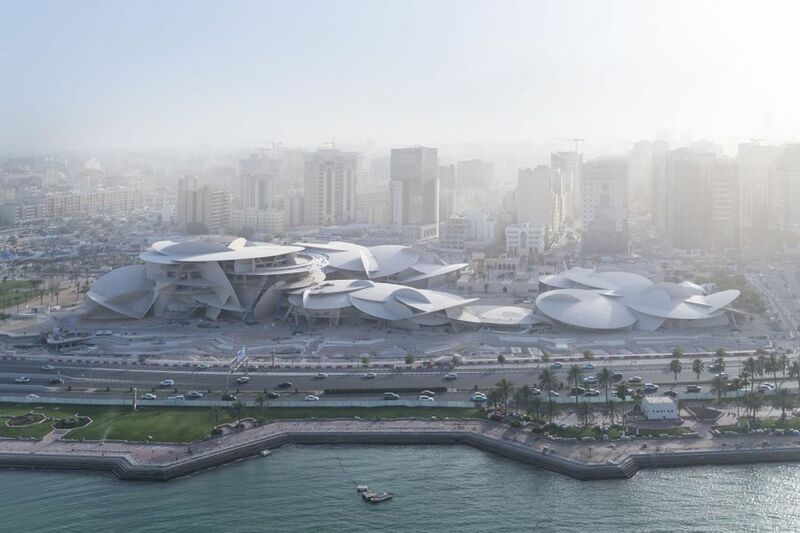 A spokeswoman for Qatar Museums says that opening dates are yet to be confirmed for Herzog & de Meuron’s Orientalist Museum or the Art Mill, a vast 80,000 sq. m waterfront exhibition space designed by Alejandro Aravena’s firm Elemental. Key cultural projects are nonetheless expected to be completed in time for Qatar’s turn hosting the World Cup in 2022.